Borre Akkersdijk’s BB.Suit combines built-in technology with 3D printed fabrics offering an aesthetic approach to electronics that challenges the notion of wearable technology. 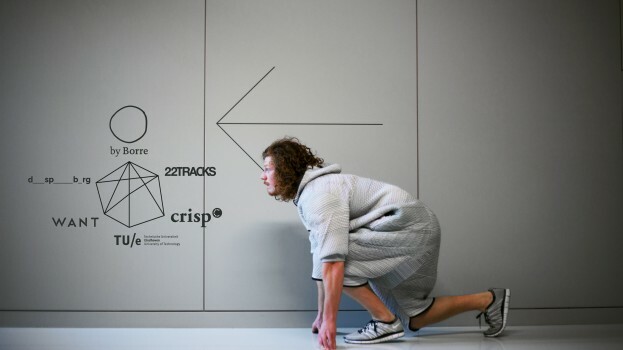 This high tech jumpsuit is a collaboration between the University of Technology in Eindhoven, 22Tracks, CRISP, Daan Spangeberg Graphics and WANT.nl. When discussing wearable technology, we’ll most likely think of smartwatches, bands and augmented reality glasses. These devices indeed incorporate technology into the things you wear on a day-to-day basis but aren’t these actually carry-ables instead of wearables? Think of them as apps without a smartphone to put them on. The Amsterdam based designer Borre Akkersdijk and founder of byBorre wanted to show what wearable technology should look like. According to Akkersdijk, current wearable technology is more about attaching something to yourself than about actually wearing it. In order to overcome this, the designer combined the offline and online world into his BB.Suit: a truly wearable piece of technology that contains Wifi, GPS, NFC and Bleutooth components that transform the wearer into a walking web access spot. It’s both a fashion as well as a technology statement. 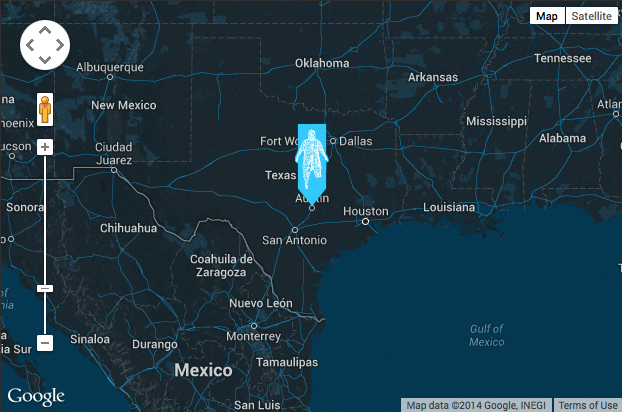 The BB.Suit was revealed to the public at the SXSW festival in Austin this year where people were encouraged to actively engage with this inter-connected, walking music library by uploading songs to the suit’s playlist, using it as their personal hotspot and track its whereabouts via the built-in GPS on Google Maps. Studio byBorre is known for its unconvential knitting techniques, typically used for making mattresses, which create voluminous textiles that lead to entirely new fashion-shapes. These oversized fabrics and garments serve as an ideal carrier of electronics. At least, that’s what the people of the Eindhoven University of Technology thought when they saw byBorre’s work at Gallery 33. The innovative production techniques offer the possibility of incorporating electronic devices in an aesthetic manner that counters problems such as cable clutter or uncomfortable stiff surfaces. Although the initial idea was to produce blankets and cushions for Alzheimer’s patients to stimulate their senses, the foundation for the BB.Suit had been laid. But while the interactive onesie hints at future possibilities, there are still some manufacturing challenges concerning tech, textile and fashion (two layers of cotton are not ideal during hot summer days). However, the suit shows the potential of what can be done when scientists, engineers and designers join forces. Our relationship with technology has become increasingly intimate. Perhaps so intimate that we are becoming technology and technoloy is becoming us. Raymond Kurzweil, in 2009, told Rolling Stone that he expects technological singularity to arrive in 2045. Although 2045 is still a long way ahead of us, the BB.Suit already blurs the line between man and machine. It does make the relationship with technology more intimate, if only because you wear it. Again, we’ve not yet arrived at this stage but there’s an upcoming trend, for example in fashion, that emphasizes this connection. In 2013, Hussein Chalayan showed five dresses that operated microchips and animatronic technology to showcase the various era’s in fashion. Currently, in Holon (Israël), Issey Miyake is exhibiting his 132 5. line – groundbreaking clothing that rose from mathemetical algorithms, conceived by scientists and adapted by designers. The current trend seems to knit society together, literally and figuartively. It combines ancient crafts – the needlework of our grandmothers – with industry. Machines have developed in such an amazing way, with robotism, 3D-printing, laser cutting etc. that we’re able to combine the old and the new in spectacular ways. Akkersdijk, Borre. 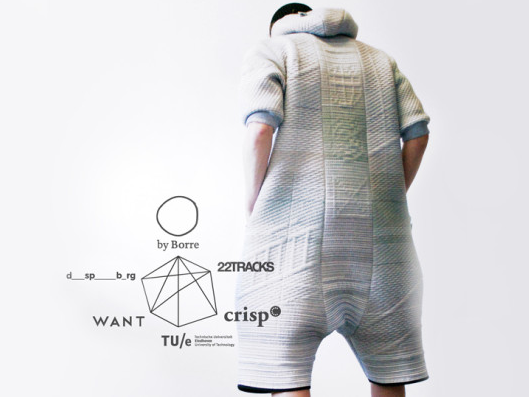 “SXSW x byBorre: The BB.Suit.” Want.nl, March, 2014. Kurzweil, Raymond. “The World’s Scariest Techno Prophet.” Rolling Stone, Feb, 2009.